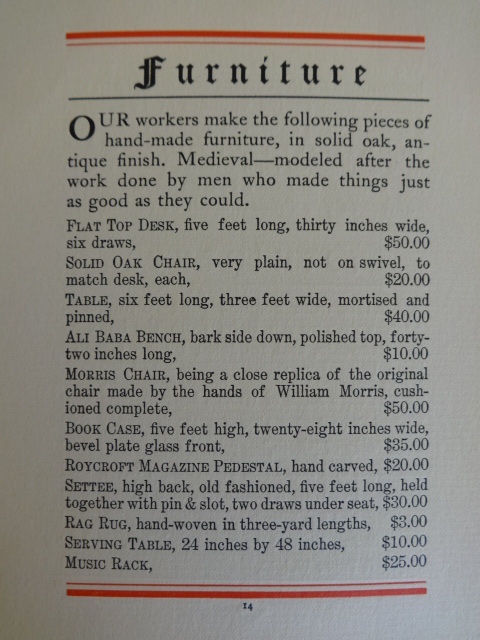 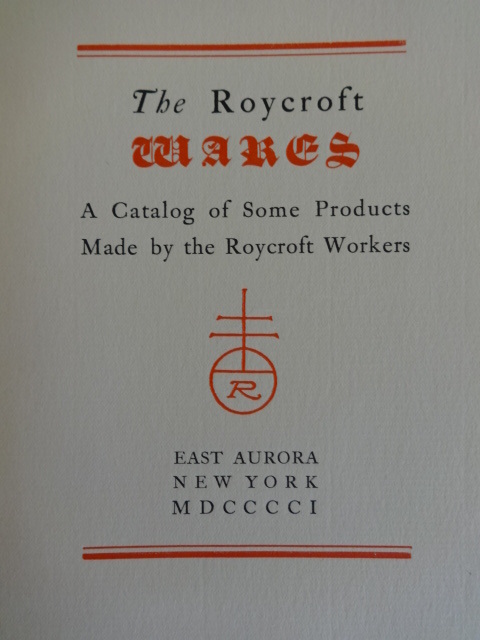 1901 Roycroft catalog in wonderful condition!! 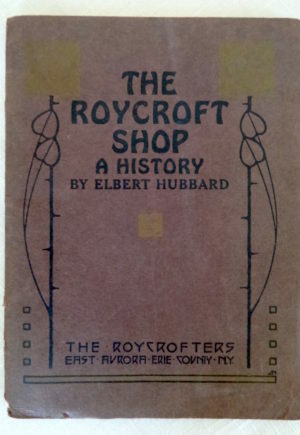 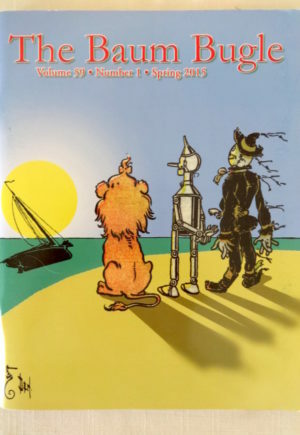 Title page is “The Roycroft Wares.” 14 pages, including A Message to Garcia, Story of a Passion, Will o the Mill, Little Journeys, Books written by Hubbard, Volumes De Luxe, Philistine, and a page ea. 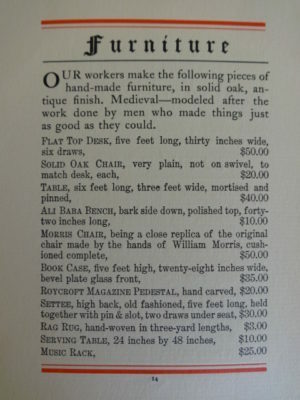 of Sculpture and Furniture (with original prices given). 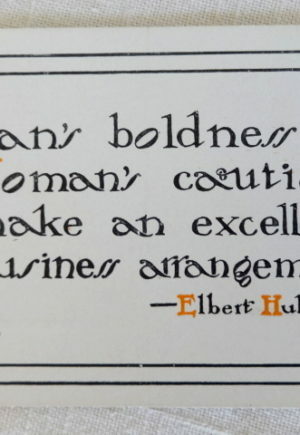 With the quote “Blessed is the Man who has found his Work” in the back. 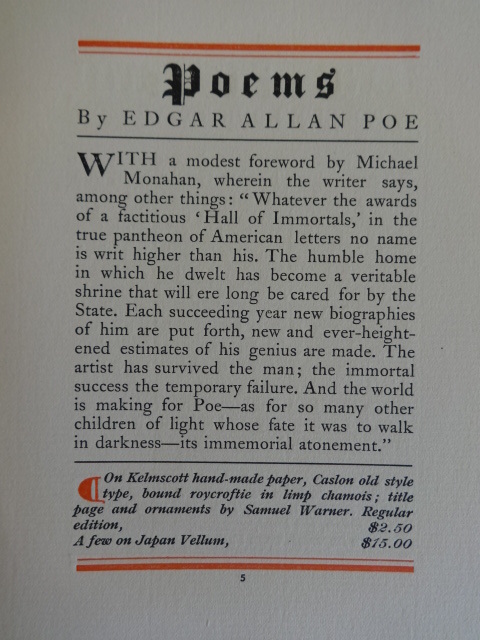 In nice condition, with light wear to softcover edges. 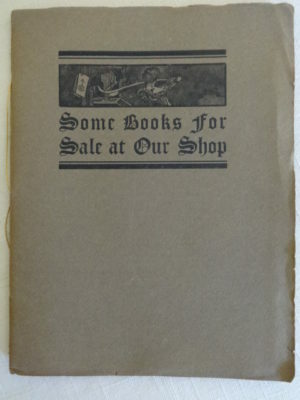 Excellent interior, with just age toning to pages. 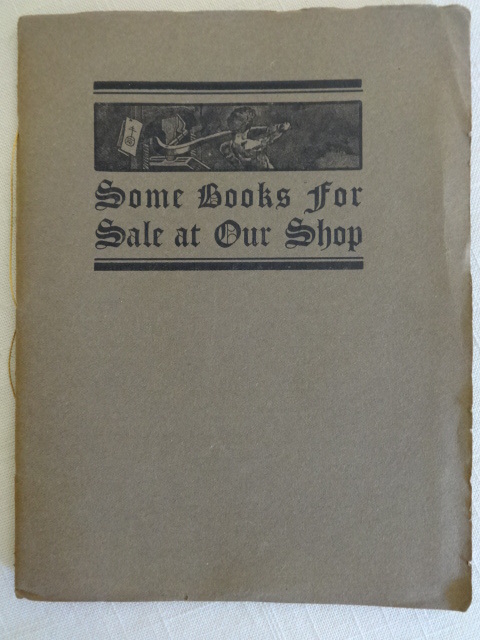 Pages are very clean, string binding intact, quite a nice copy.